This custom TimberTech deck was built with walnut evolutions decking in Malvern PA. Its structure features stacked stone columns as well as reclaimed barn wood beams. 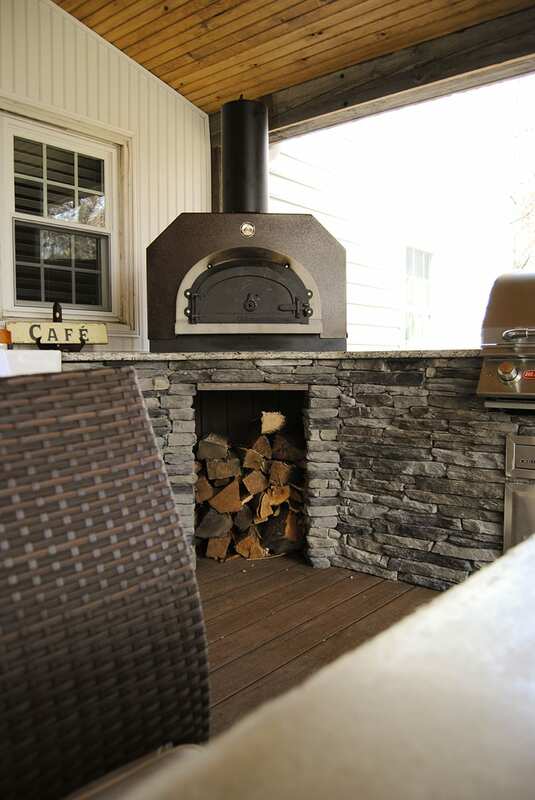 The space features a full outdoor kitchen complete with pizza oven, a stacked stone fireplace, a beautiful pine ceiling and a complete lighting package. The Keystone porch team finished this project in November, 2014. The deck looks great! We are both very happy with the final product. It was a pleasure working with you and your entire staff. Matt was great. He was friendly, knowledgeable, and did a great job. Thanks for all of your help along the way. We will definitely refer your company if we know of anyone interested in a new deck!